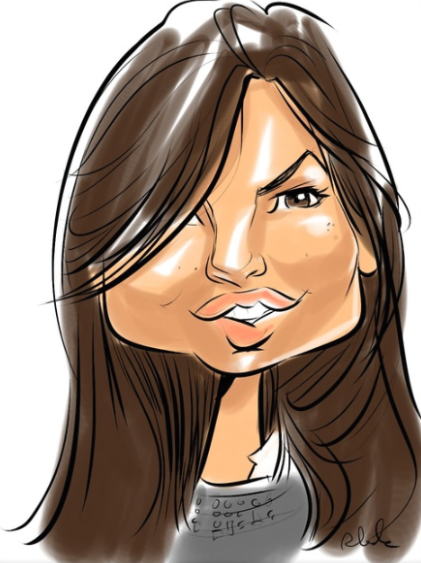 Digital Caricatures Live - Florida! 4x6 Sizes are Standard, For easy carrying! Art never looked so good! Make sure your brand stands out! We draw for any size event and have multiple artists available. Let us Inspire you and your team! 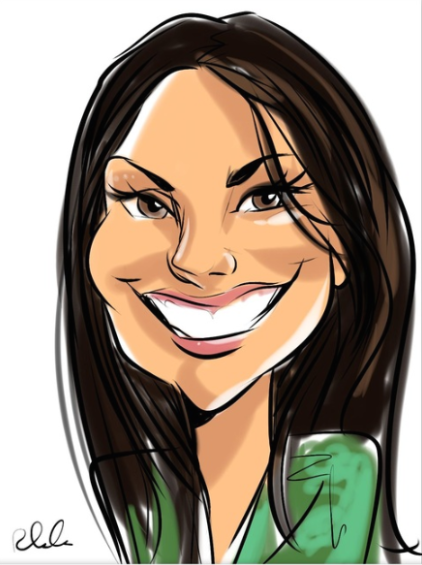 Digital Caricatures Live is a U.S. based company that draws digital caricatures around the world! We are the "Art Entertainment" source with over 19 Years of Experience! Whether you are throwing a party, designing an elaborate wedding or corporate event, planning a trade show/convention, DCL is just for you! We are known for our warm and generous attitudes, highly skilled drawings that capture a likeness while celebrating the persons unique look and personality. 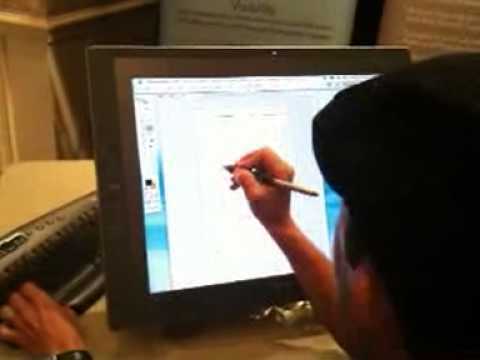 We can do drawings on paper but our expertise is the digital world, primarily for Trade Shows. It is the best lead generation tool to have us drawing in the attendees, while showcasing your brand on each 4x6 print that they display! Our Trade Show Booth was the best! We hired Ryan and Sam for our last show in Vegas at the Mandalay Bay Convention Center. We have had other engagements in the past, but this was by far the best idea we have had. They were both so engaging and fast. I think we had a line each day that was over 30 minute wait time which allowed us to talk with the guests and get to know them. I would have liked to use another artist for the first night at our reception as it was only two hours. We will definitely use them again for our shows in Phoenix and San Diego. Thank you Ryan for the pre planning you did to integrate everything including the custom themed print design for the characatures. You are the best! Sooo Welcome Stephanie! Yes, Please keep us in mind for the next one. Thanks again! ... for my daughter's party! On time, professional, fun and extraordinarily talented! Our group loved their experience with Doug, the digital caricature artist. They were totally engaged. Wish we had hired two artists so more people could have had the experience. Those that didn't get their picture done were able to participate by crowding the screen to watch so more people could be involved. Thanks for all your hard work! I heard the booth was a great success and the whole event went wonderful. Everyone enjoyed having you! Hopefully we can use you again sometime soon! Thanks Ryan. You were the hit of our party. Everyone keeps talking about how talented you are and how nice pleasant and charming you were! I would highly reccommed you to anyone! I could not be more grateful! Beth L.
Insurance: $1,000,000 - Coverages any damages while performing as a result of equipment or services rendered. The best in Digital Caricatures performed Live, using the most up to date technology!! Guests will be able to comfortably view the drawings come to life from a distance by watching either the TV's or 21 inch Tablet. a custom webpage that we design for you! In all they will be wowed and amazed to see what is now being done on a computer, for them in minutes! We are the leading Digital Caricature Companies in the world, offering amazing "21st century art entertainment" to people who are looking for something new and unique. We travel around the world offering our services. We can supply you with any number of artists depending on your needs. Typically, our clients are people who want to give the best to their clients and guests and care about creating a fun and modern treat! We use the best equipment available such as 21" Cintiq Tablets, 30-50" TV's, Photo quality prints as well as offer our design talent to create custom borders to brand the drawings with your corporate logo or simply add a memorable line to create a special memento. We also will design a webpage for all the drawings to easily be accessed and shared over social media! So if you are looking for Caricatures that allow your guests to have both a printed version and a digital version, look no further. Let us help you brain-storm creative ways to get your name out there, and help you further extend your brands influence and awareness. We have had clients request us to draw virtually via video conferencing, we've used their equipment, and help showcase technology in the coolest of ways. One call and you'll see that we are more than an event company. We embrace technology, understand marketing, and are looking for companies that want to be the "best of show". Wait 'til you see how impressed the guests will be with your idea to hire us! Please call or email us today so that we can book your event! We do sometimes require travel to be covered if outside of the Orlando area and if the event is less than 4 hours. Each performance is custom tailored for your needs and may also require additional screens etc. Power Outlet within 10 ft.